THE 57km-(35.4miles) long Gotthard Base Tunnel (GBT) was formally opened on June 12, amid major celebrations by the Swiss government. The tunnel is longer and deeper than any other in the world. 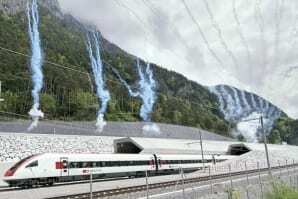 Over the following weekend tens of thousands of Swiss and foreign visitors visited the new tunnel and railway events, which were arranged nearby. Next Post:Beam me up, Virgin!